how was your summer solstice? It was the longest day of the year in this part of the world and the sun is shining vibrantly these days. Nevertheless it seems to me and quite some others around me this years solstice is somewhat influenced by other cosmic influences. I have felt the energy was a bit more sluggish overall, whereas usually this time of year energy flow strongly. Today is the full moon. As the season turns with this Solstice Honey Moon, you may want to bring to ind your New Years resolutions and see how you have been ding the first half of this year. Reassessing the important things in life is very important at this time. The June full moon was called the Mead or Honey moon. (Though it also goes by the name Strawberry Full moon or Rose Moon). The name derives from the hives being full of honey at this time of the year. The honey would have been fermented and made into mead. Traditionally, a honey drink was taken after wedding ceremonies held on the Summer Solstice. This is the derivation of ‘honeymoon’. nature being at its most bountiful. Now is the time to realize our destiny. Take some time to contemplate the last 6 months. What has happened in your life since the beginning of this year? What bounty has come to you? What is your destination? Sit quietly and ground yourself by bringing your attention to your earth star chakra, beneath your feet. Bring up light from this chakra, to fill your being and your aura. You can ask Archangel Michael to place a Golden Dome of protection around you to further enhance the wonderful energy field you have created by bringing up light from your earth star chakra. Then connect to all the other Lightworkers so we may form a network of Light around the planet. 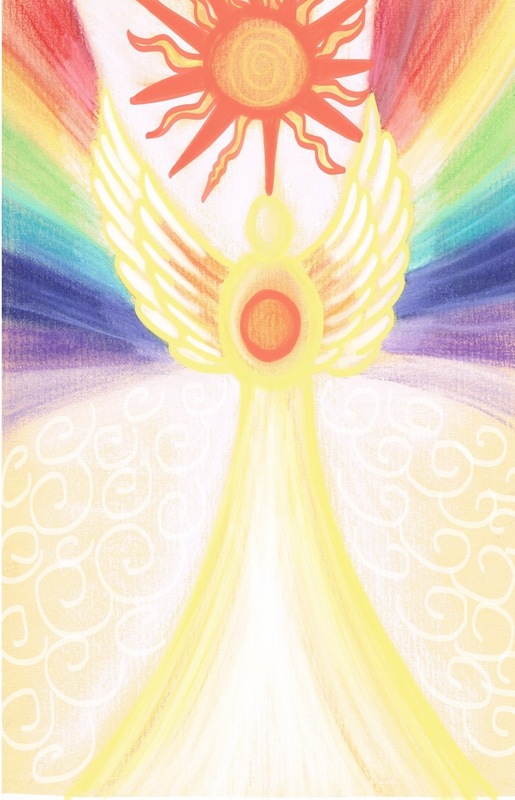 PS would you like to order one of the Crystal Angel Essences connecting you to the Archangel(s) you have worked with in this meditation? You can find them in the webshop. PPS would you like further inspiration on how to work with your angels on current life issues and personal growth, an angel heart e-consultation could be a wonderful support. This entry was posted in Angel meditation, Light work, Moon Meditation and tagged 2018, angel meditation, Archangel, crystal angel essences, full moon, honey moon, june 28, moon meditation on June 28, 2018 by Angel Light Heart.